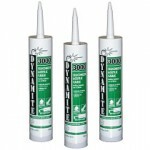 The Dynamite 3000 Siliconized Acrylic is used for areas that can’t be moved and will be painted over, while the 1033 Tub & Tile comes in a squeeze tube, and is used anywhere that needs to be sealed from water. General purpose sealing is the main benefit of the 3000, since it can be applied to drywall, plaster, masonry, concrete, wood, brick and metal. Meanwhile, the 1033 is made with rust inhibitors, mildewcides and fungicides to make sure the surface stays white, and the squeeze tube makes for an easier application. While the Gardner 830-GA Construction & Roof Sealant can be used for any interior project, it works best with skylights, windows and doors, preventing moisture from seeping in. When applying it, make sure that the surface has been smoothed of any dirt, rust, peeling paint or other matter. After washing the area, make sure it’s dry before any application, which is best done early on a sunny day. However, make sure not to use it if heavy rain is expect within the next 48 hours. 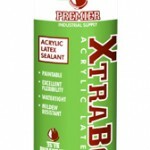 Using sealants like the XtraBond 150 General Purpose Silicone, the 50 Siliconized Acrylic Latex or the 25 Acrylic Latex strategically focuses on a wider spectrum of options. The 150 encompasses specific areas like kitchen and bath fixtures, marble floors and both doors and windows. Using the 50 is for areas that don’t need primer, including aluminum, vinyl, sheet metal and wood. Meanwhile, the 25 can work either indoor or outdoor, but works best with windows and doors. Determining which sealants or interior caulks to use can often mean being bombarded with countless options. 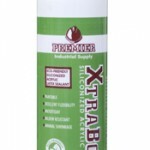 That selection process drops precipitously when you focus your attention on Basic Component’s triumvirate of Dynamite, Gardner and XtraBond.